That trademark Romney smirk. Image from policymic. Mitt Romney gave a rousing speech about how his foreign policy would be much more muscular than President Obama’s. But Romney displayed again his proclivity to lie on specifics and distort the broader reality. While it’s true that all politicians play games with the facts, it is actually rare for a politician to be an inveterate liar. But Mitt Romney is one of that rare breed on matters both big and small. And with some polls showing his surge toward victory on November 6, his dishonesty may soon become an issue for the entire world. Romney’s foreign policy speech on Monday, October 8, was another example of his tendency to lie on minor stuff as well as weighty issues. For instance, he claimed that President Barack Obama “has not signed one new free trade agreement in the past four years” though Obama secured passage of agreements with South Korea, Colombia, and Panama and signed them in October 2011. “The United States and the international community have been appalled and outraged by the threats, beatings and imprisonments of the last few days,” the President said on June 23, 2009. He added that he strongly condemned “these unjust actions." One reason that I criticized Romney’s debate performance -- though many other Americans, including many Democrats, disagreed with my assessment -- was that I felt his lying and his squirrely behavior were more important than Obama’s sluggishness. One might regard Romney’s neoconservative revival as delusional in a variety of ways -- further driving the United States toward bankruptcy even as U.S. interventionism in the Muslim world would surely make matters worse -- but it is Romney’s reliance on systematic lying that perhaps should be more troubling to American voters. 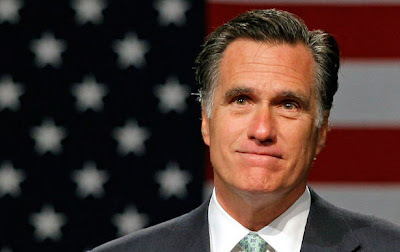 Romney has long been known as a serial flip-flopper who changes positions to fit the political season, but his pervasive mendacity has been a concern since the Republican primaries when his GOP rivals complained about him misrepresenting their positions and reinventing his own. That pattern has continued into the general election campaign, with Romney telling extraordinary whoppers on the campaign trail and even during last Wednesday’s presidential debate, such as when he claimed his health-care plan covered people with pre-existing conditions when it doesn’t. One reason that I criticized Romney’s debate performance -- though many other Americans, including many Democrats, disagreed with my assessment -- was that I felt his lying and his squirrely behavior were more important than Obama’s sluggishness. Telling lies while waving your arms shouldn’t trump telling the truth in a moderate tone. Now, less than a year after U.S. military forces left Iraq -- and with a withdrawal from Afghanistan finally underway -- the latest polls suggest that the American voters are shifting toward the election of another neocon President who promises more soaring rhetoric about U.S. “exceptionalism” and more interventionism abroad.